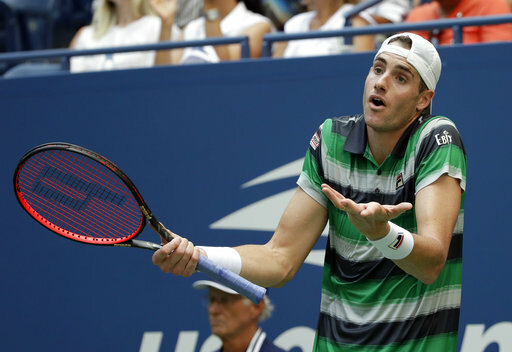 NEW YORK (AP) — John Isner doubled over and rested his elbows on his knees. 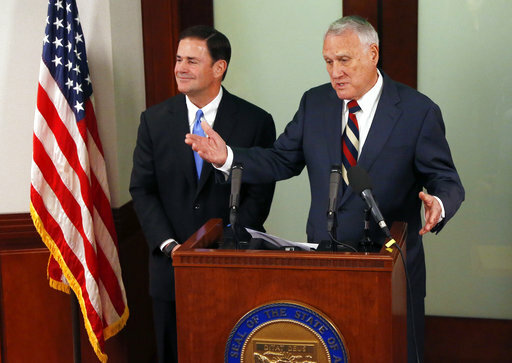 He grimaced. He shook his head. 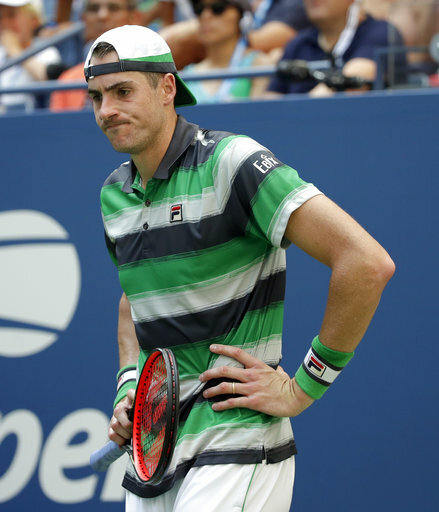 Isner's bid to become the first American man in a dozen years to get to the final four at Flushing Meadows ended Tuesday with a 6-7 (5), 6-3, 7-6 (4), 6-2 loss in Arthur Ashe Stadium to No. 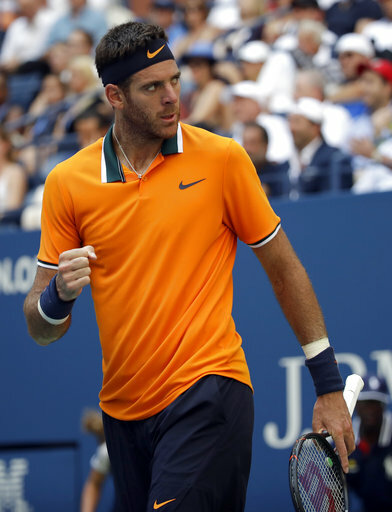 3 seed del Potro, the Argentine who won the 2009 championship. The temperature, more than 90 degrees (32 degrees Celsius), made things uncomfortable across the 3½-hour match. So did the humidity, at about 50 percent. 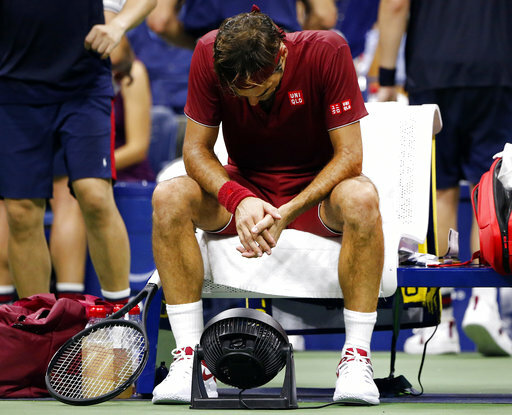 Those kinds of conditions were a problem for Roger Federer when he was upset by 55th-ranked John Millman a night earlier, and Isner had all kinds of trouble, too — certainly more than del Potro did. 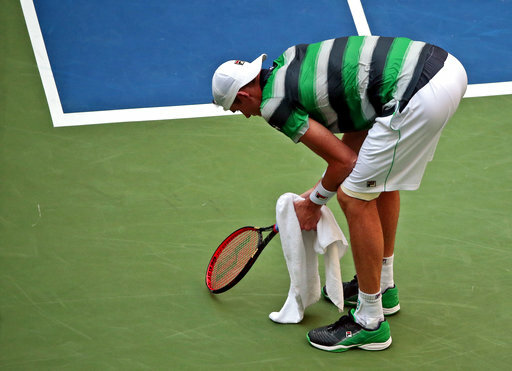 "Whatever the humidity is on outer courts or in the city, I think it's amplified on center court," Isner said. 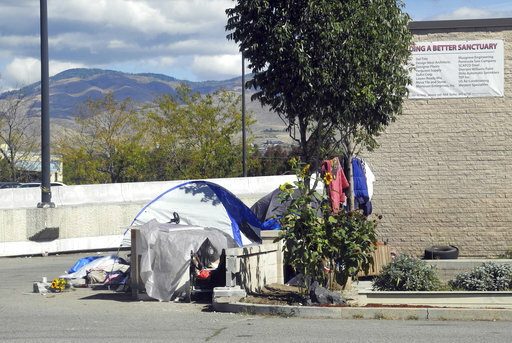 "It's just very difficult to deal with. 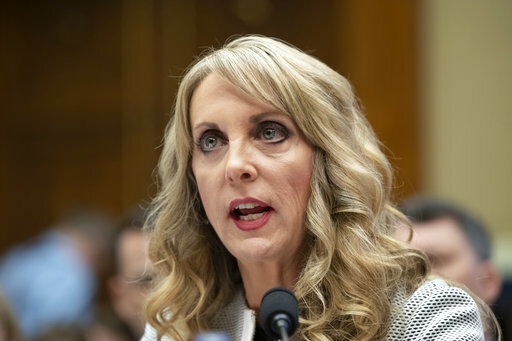 I have never seen Roger sweat ever. 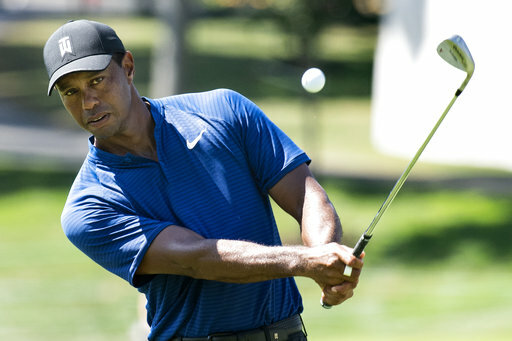 If he's sweating a lot and has to change clothes, then you know it's pretty humid out there." Things got so bad around the site that the tournament suspended junior matches for a few hours in the afternoon. 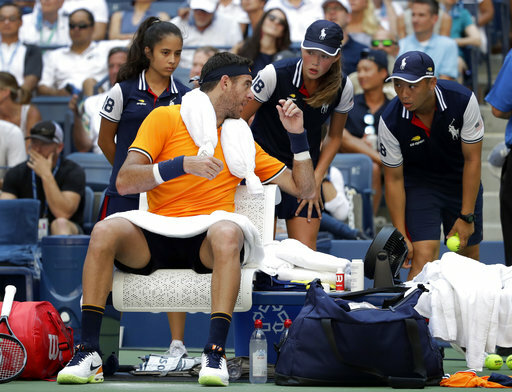 The U.S. Tennis Association invoked its new extreme heat policy, which allows men to take a 10-minute break after the third set, but that clearly didn't help Isner, who quickly trailed 3-0 in the fourth. "And then I lay down on the table," he added with a grin, "and I don't want to come back again." 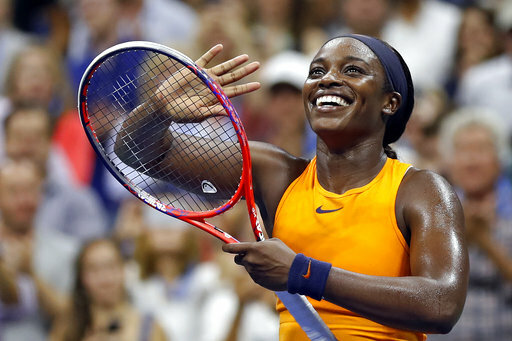 "Takes its toll on us players — myself and, I think, Juan," Isner said. "All in all, he probably handled it a little bit better." This has been something of a breakthrough season at age 33 for Isner, including two hard-court titles and a run to his first Grand Slam semifinal, which happened at Wimbledon in July. 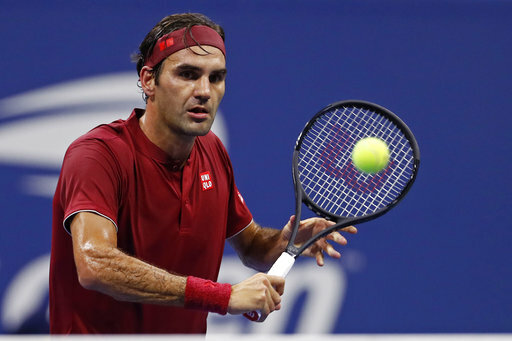 He followed that up by getting to the quarterfinals in New York for the first time since 2011; no man from the U.S. has made it past this stage at this tournament since Andy Roddick in 2006, three years after he became the country's most recent male champion at any major, 60 events ago. 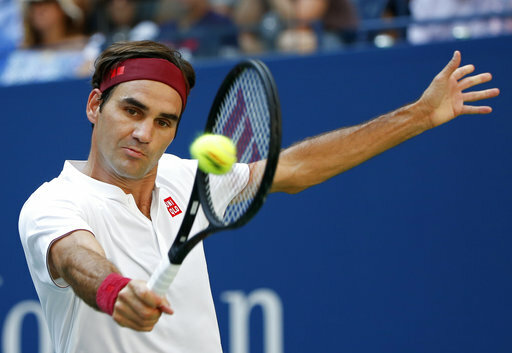 His serve is almost as imposing as Isner's, while other elements of del Potro's game — returns and, most notably, his thunderous forehand, which often clocks in at more than 100 mph (160 kph) — are superior. On this afternoon, del Potro played particularly clean tennis, making only 14 unforced errors, less than a third as many as Isner's 52. 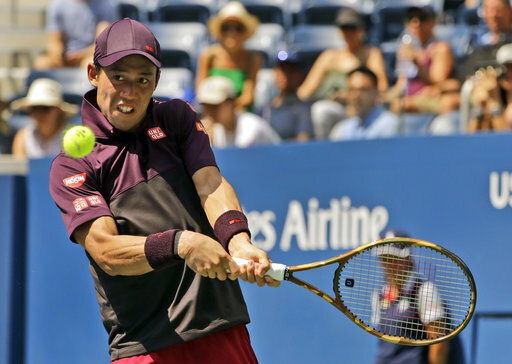 "When he gets control of the point," Isner said, "it's very tough to wrest it back from him." 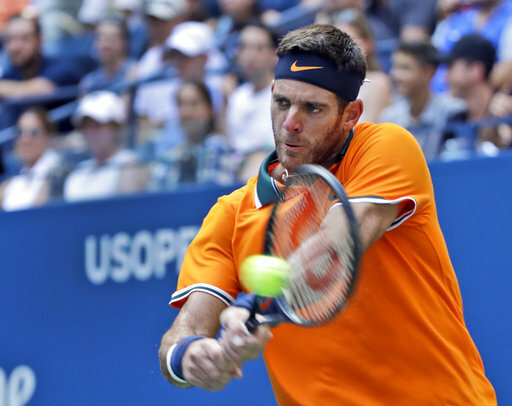 And while Isner was playing before what could count as a home crowd, del Potro got all manner of support throughout, from the blue-and-white flags or soccer jerseys dotting the stands to the repeated singsong chants of his nickname, "Delpo," punctuated by clapping. Those choruses resonated in the arena after key points, such as each time del Potro erased one of Isner's break chances, three in all. Still, it was Isner who struck first, closing the opening tiebreaker with a 132 mph (212 kph) ace down the middle. That was the first set dropped by del Potro in the tournament. Nadal has won 11 of 16 matchups against del Potro, including the past three, each at a Grand Slam tournament: in the semifinals of last year's U.S. Open, the semifinals of the French Open in June and a five-set thriller in the Wimbledon quarterfinals in July. 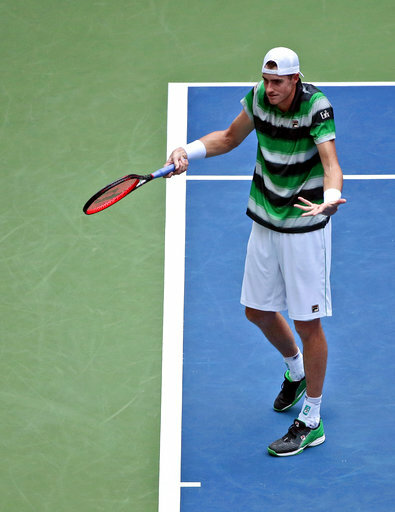 Isner's striped shirt and backward white hat were soaked with sweat. He kept puffing his cheeks and taking deep breaths between points. He was looking up to his coaches a lot, too. Worst of all, Isner began to take some half-swings; when he pushed a forehand wide, he got broken to trail 3-1. 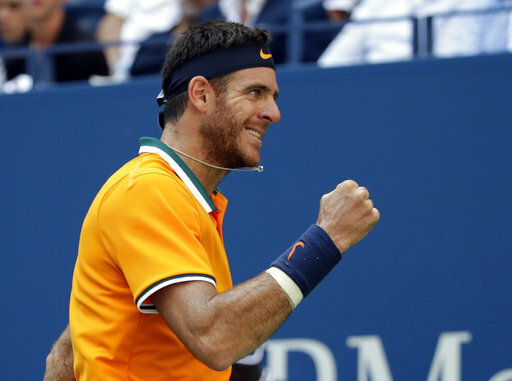 "An epic match," del Potro called it. "We're both tired in the end."